Knock, Knock, Your Brand’s Here! The ability to create a virtual geographic perimeter using GPS or RFID for targeting ads has been around for a long time. But the world of IP address matching, polygons, and radius targeting just got a little bit smaller – it’s knocking on your front door, in fact. Addressable geofencing is the ability to target audiences on desktop, mobile and ConnectedTV using physical addresses. As the most granular location-based targeting tactic on the market, addressable geofencing can target and reach every device within a home and up to one million addresses per media campaign. Brands can use their own CRM data or lists from 3rd parties using geographic, demographic or other user data. 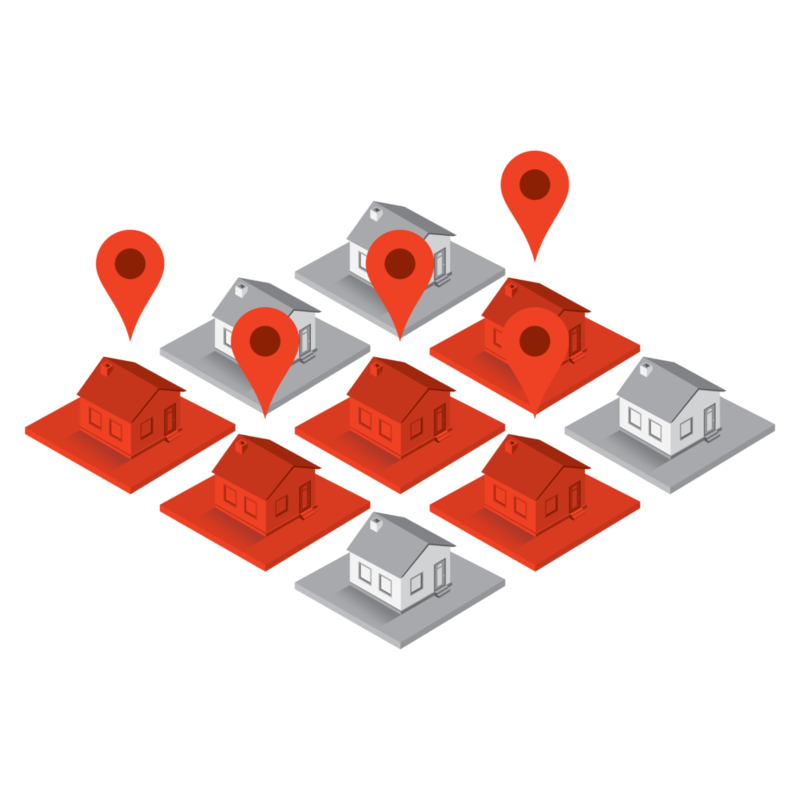 Once the physical addresses are uploaded, property line and land survey data is used so brands can target all devices within that street address. How can you tell the difference between someone who lives at that address and a friendly neighbor stopping by? The answer is dwell time. Addressable geofencing tracks how long a device is in the home in order to serve ads to the correct audience. Addressable geofencing can be used as a stand-alone tactic or in combination with other media channels. For example, a nonprofit could deliver a direct mail piece to potential donors with a high household income. They could then deliver digital display ads or video to that exact same audience with a more emotional message in help increase donations. A little spooky? Yeah. But a lot more effective at reaching the right people on their home turf.